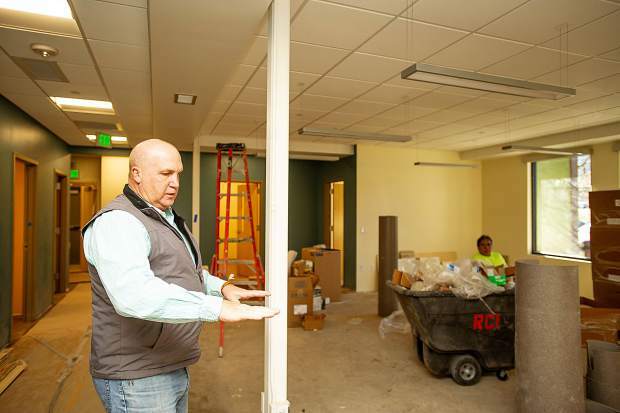 Mountain Family Health Development Director Garry Schalla explains where the nurse's station or counter will go for the new Basalt Integrated Health Center located next to Stubbies. Mountain Family Health Development Director Garry Schalla in the dental area for the new Basalt Integrated Health Center located next to Stubbies. The main lobby and reception area for the new Basalt Integrated Health Center located next to Stubbies. The dental area that will host 3 dental chairs for the new Basalt Integrated Health Center located next to Stubbies. The break room for staff at the new Basalt Integrated Health Center located next to Stubbies. A conference space that will have further uses as well at the new Basalt Integrated Health Center located next to Stubbies. 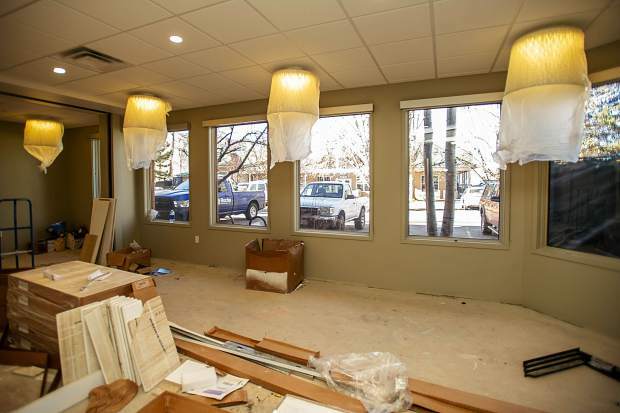 The space for the new Basalt Integrated Health Center located next to Stubbies that was previously occupied for temporary Pitkin County offices. 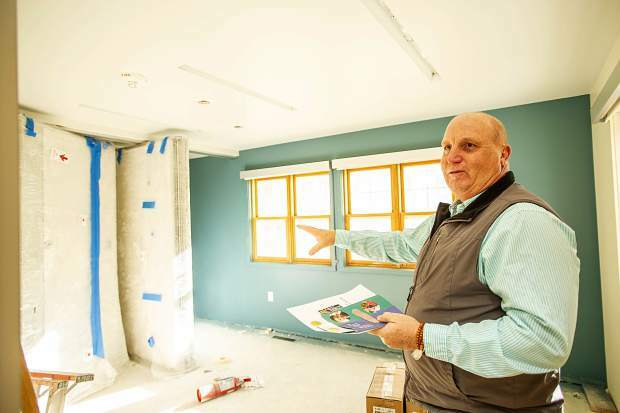 Mountain Family Health Development Director Garry Schalla shows an upstairs meeting area in the new Basalt Integrated Health Center located next to Stubbies. 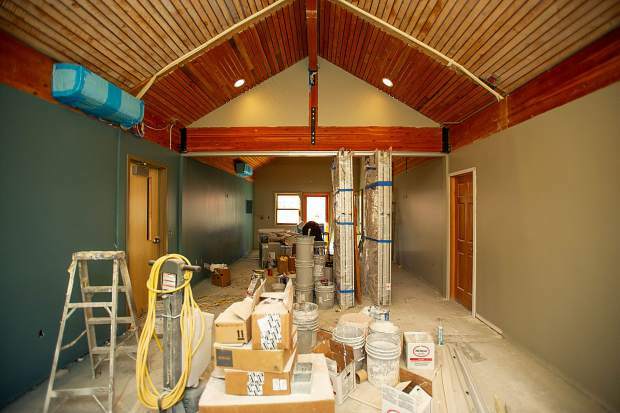 The main lobby area for the new Basalt Integrated Health Center located next to Stubbies. The overall health of the Roaring Fork Valley is about to improve significantly. That’s because the Mountain Family Health Center in Basalt — which focuses on providing primary, behavioral health and dental care to low-income valley residents — is about to move into a much larger facility that will allow it to double the number of patients it serves. 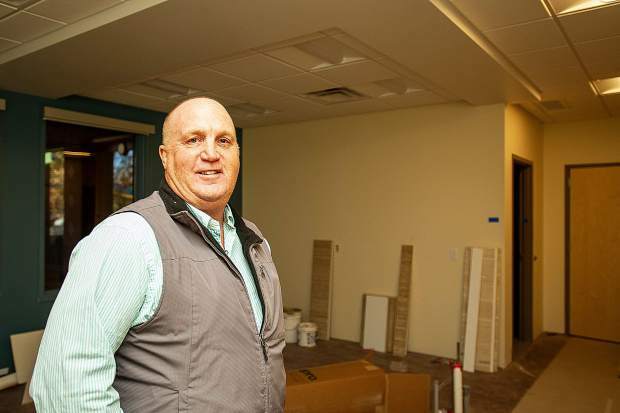 The new building — across Highway 82 from the old location on Cody Lane — quadruples the amount of space for the clinic and will offer full-time dental and behavioral health services for the 25 percent of Roaring Fork Valley residents who live at 200 percent of the poverty level, he said. That translates to about 15,000 people between Aspen and Glenwood Springs who earn about $24,000 annually for individuals and about $49,000 for a family of four, Schalla said. The current facility serves about 2,000 people, while the new building — where Stubbies bar and the Ho Palace Chinese restaurant are located — will be able to serve about 3,700 people, he said. 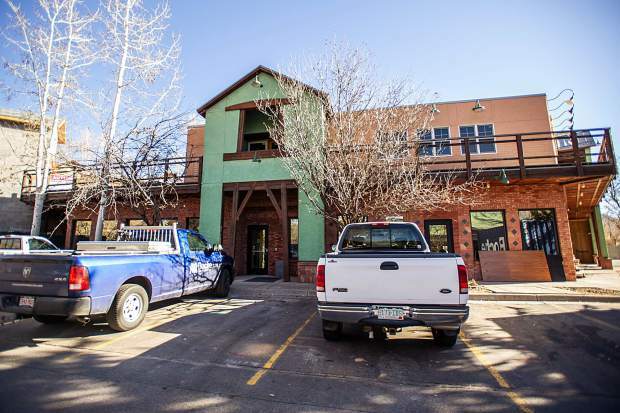 Pitkin County bought the Basalt building at 123 Emma Road in November 2016 for $3.2 million as a temporary home for county offices while the county built a new building on Main Street in Aspen. That new building opened this summer, which allowed Mountain Family Health to begin renovating the Basalt space. 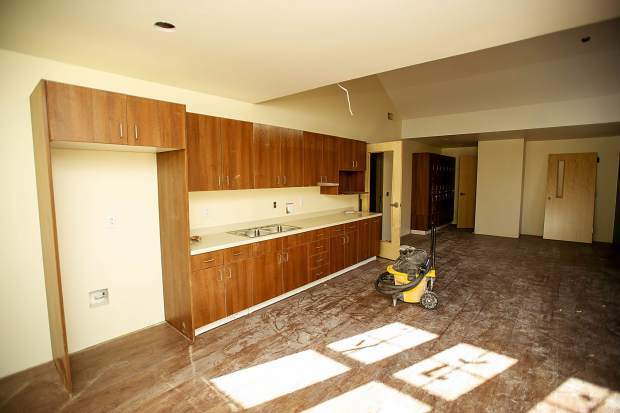 The renovation is slated to cost $3.4 million, Scalla said. Of that, Mountain Family Health has raised $1.2 million since June and hopes to raise the rest by June 2019, he said. 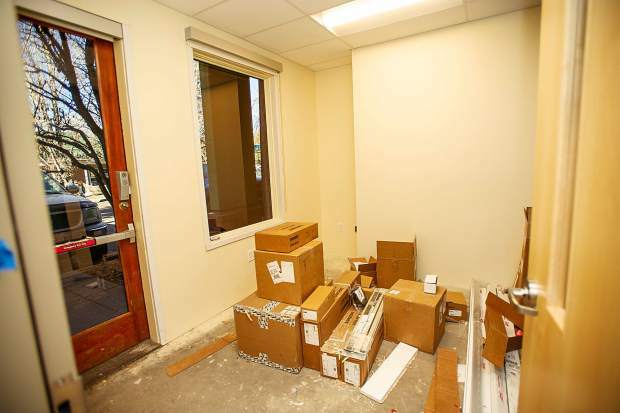 Meanwhile, the new clinic — known as the Basalt Integrated Health Center — is slated to open for patients Jan. 7, Schalla said. Officials will hold a community celebration and tour of the building Dec. 13 from 5 to 7 p.m. and a “soft opening” Dec. 28, he said. “We’re really excited,” Schalla said. 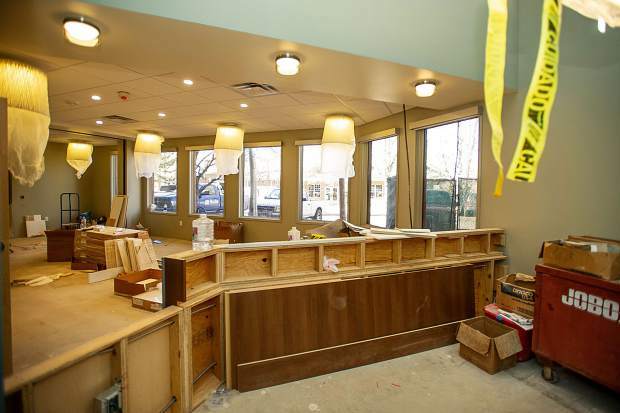 The clinic will have nine primary care examination rooms, two behavioral health examination rooms and three dental chairs for adults and one for children, he said. 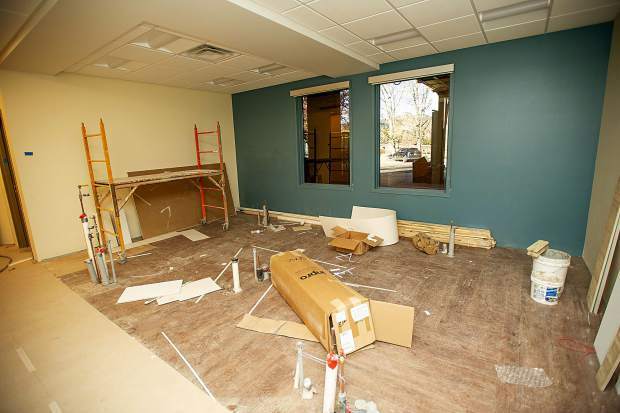 In addition, the space will provide conference rooms and employee break room space upstairs. Pitkin County and Aspen Valley Hospital have played an integral role in allowing the project to come to fruition, he said. The county valued the annual lease of the building at $250,000 a year, Peacock said. Aspen Valley Hospital agreed to pay $150,000 a year toward that cost, while the county will contribute the remaining $100,000 in kind, he said. The two entities will also split 60-40 whatever outstanding operating costs the facility generates, Peacock said. “I just can’t give enough credit to the hospital for stepping up to the plate and making this happen,” he said. Dave Ressler, Aspen Valley Hospital CEO, said he and the hospital board view the subsidy as an investment in the community’s health. For example, many Mountain Family Health patients might not have the opportunity to access primary health care and might instead rely on AVH’s emergency room for treatment, he said. Mountain Family Health is not a free clinic, Schalla said. It provides services to people with insurance, people without insurance who can pay on a sliding scale and Medicare and Medicaid recipients. However, Pitkin County wants to provide care for everyone, so even those without insurance who cannot pay anything can still access services, Peacock said. That’s where the county and the hospital step in to make up the difference in operating costs, he said. The facility is looking to bring other partners on board, as well. Aspen Skiing Co., which donated $100,000 toward the renovation project, is working on a partnership with Mountain Family Health to provide integrated health care services to its full-time and seasonal employees, Schalla said. In addition, Pitkin County officials are finalizing an agreement with Eagle County to contribute to the facility, Peacock said. Between 15 precent and 17 percent of Mountain Family’s patients in the Basalt area come from Eagle County, he said. Pitkin County Commissioner Greg Poschman said he is thankful for the partnerships that have been able to make the project happen. He said the county’s in-kind donation to the community’s health is entirely appropriate. Poschman encourages valley residents to support and donate to Mountain Family Health’s fundraising drive. “I’m hoping we can make some progress,” he said.